Home / demons within / destruction / hellbender / jungle rot / north america / northamerica / warbringer / DESTRUCTION - North America Under Attack 2017 Kicks Off On May 22nd! DESTRUCTION - North America Under Attack 2017 Kicks Off On May 22nd! 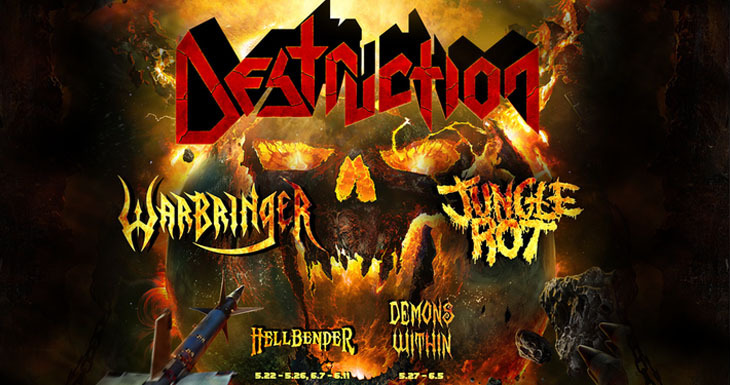 Legendary German thrashers DESTRUCTION will kick off their North American Under Attack" tour in Oakland, CA on May 22nd. The trek will hit 19 cities including Chicago, New York, and Atlanta before concluding in Los Angles at The Regent Theater on June 11th. 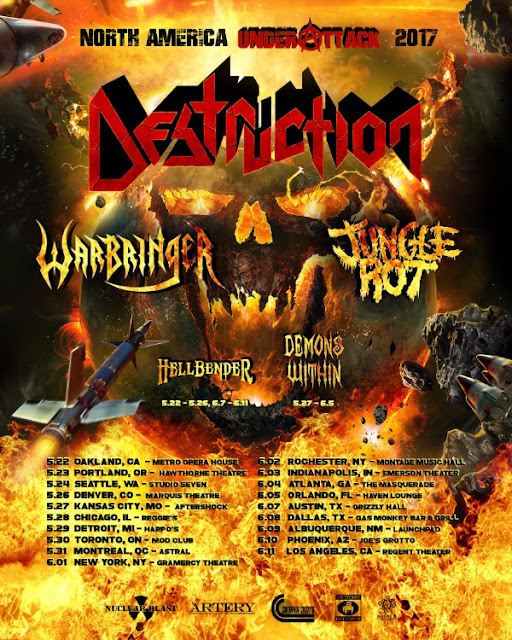 Direct support will come from both Los Angeles thrash metallers WARBRINGER and Wisconsin death Metallers JUNGLE ROT.